She walked across the Unites States coast to coast to win $10,000 for her impoverished family. After her family farm fell on hard times during the crisis of 1896, she devised a wager with a party in New York that she could walk across the United States within seven months. She completed her journey unfortunately past the deadline, and did not collect her prize. Worse yet, she was accused of abandoning her family. 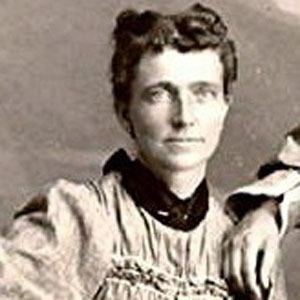 She was born in Oslo, Norway and moved to the U.S. with her parents in 1871. She became a minor celebrity upon arrival on the east coast, getting to meet presidential candidate William McKinley.